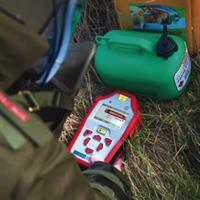 Simultaneous detection of explosive and narcotics in eight seconds. Non-radioactive ionization source. 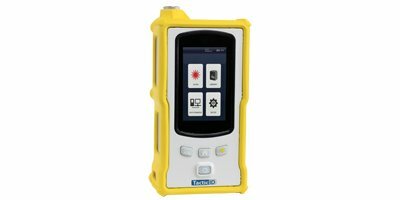 Increased usability, improved operational and detection accuracy. Remote monitoring capability via Remote Connect. Push-button, schedulable automated maintenance. 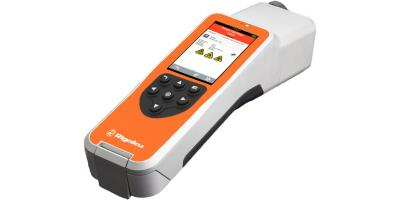 FirstDefender RMX is an all-optical Raman system designed for first responders' use, homeland security, military, law enforcement and by forensic chemistry personnel. Significant enhancements have been made in speed, performance, mixture analysis, user interface and use mode with the fixed probe and optional robot integration. By Thermo Fisher Scientific based in Waltham, MASSACHUSETTS (USA). By Snowy Range Instruments based in Laramie, WYOMING (USA). By Field Forensics, Inc. (FFI) based in St. Petersburg, FLORIDA (USA). The LS-ID is a palm-size handheld Raman spectrometer for the immediate identification of unknown solid and liquid substances, mostly narcotics (e.g. white powders) and explosives. A wide range of TICs and TIMs are also included in its library. By Enhanced Spectrometry Inc. based in San Jose, CALIFORNIA (USA). The safest and most flexible Full Body X-ray Scanner available for Prisons, Customs and locations requiring high level of security. CONPASS DV (Dual View) is the most comprehensive, safe and user friendly full body scanner intended for X-ray personnel screening. The new Rapiscan 618 XRH is a high performance compact and versatile 540 mm by 360 mm tunnel X-ray system with exceptional image quality and excellent threat detection alert capabilities. The World's First Ultra Fast , Sensitive , Reproducible and Fully Automated Raman Chemical Analyzer Using 'RFD-SERS™ Technology for Sample Identification and Quantitation. By AcuTech Scientific Inc. based in Vista, CALIFORNIA (USA).